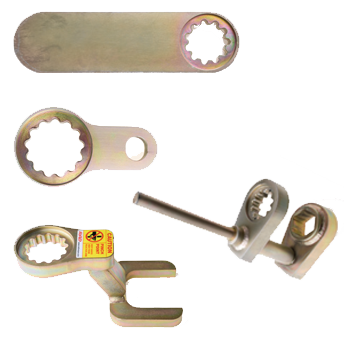 Torque Warehouse offer a range of sliding reaction arms that ensure prefect reaction every time whilst eliminating pinch points and optimising safety. 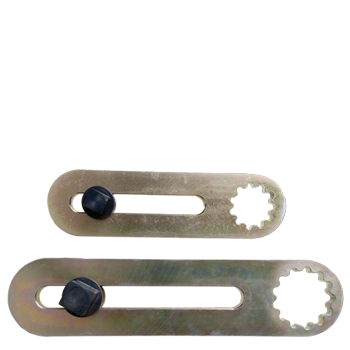 These reaction arms are perfectly suited to flange assembly and applications with regular bolt pattern arrangements. With full engineering capability Torque Warehouse are pleased to custom design and manufacture a full range of special engineer to order reaction arms to suit any application. 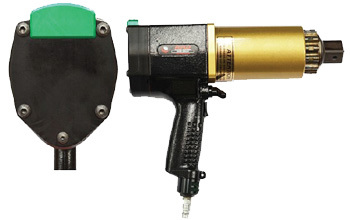 Torque Warehouse offer one the most extensive ranges of high quality sockets and accessories on the market. With sockets available in drive sizes from ¼” – 2½” and in every configuration, standard 6 point, 12 point, square, double square, torx and in-hex you can be sure that we have the right socket to get the best out of your torque tool. 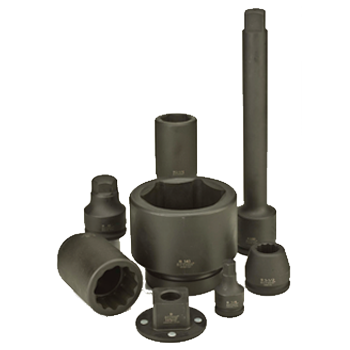 In addition to this we also hold a comprehensive range of impact extension bars, impact adaptors and reducers. 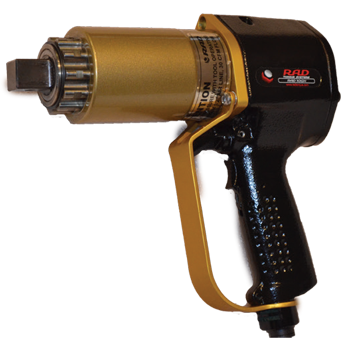 With the Torque Warehouse focus being on operational safety as well as job efficiency we are now pleased to launch the latest range of accessories to suit the RAD pneumatic series torque tools. 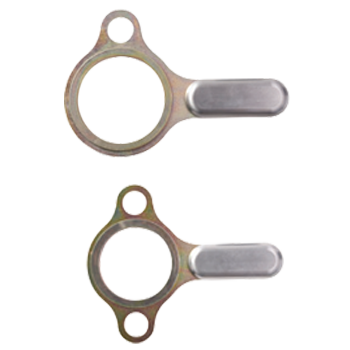 These accessories have the primary objective of eliminating pinch points and providing the user with enhanced protection in their working environment. 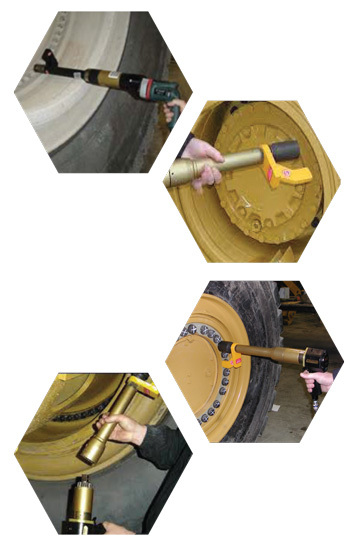 To enable ease of use Torque Warehouse offer a range of secondary support handles to facilitate two handed operation of the tool to further increase safety. 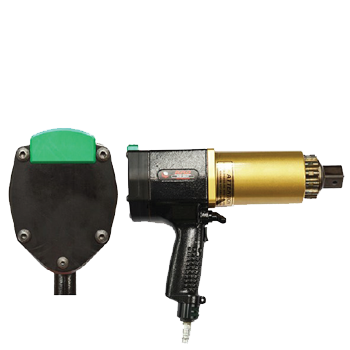 A range of lifting eyes are also available to allow the suspension of all tool models using a spring balancer. Both secondary handles and lifting eyes clamp positively to the tool whilst still allowing it to rotate through 360°. The Operator Safety Valve “OSV” is a retro fit accessory that can be fitted to any pneumatic RAD tool and is guaranteed to keep the operators hands away from the reaction arm which equates for 99% of pinch point injuries. Once the “OSV” is fitted to the tool the operator can only operate the unit using both hands, one on the conventional trigger and the other on the OSV secondary trigger, located at the back of the tool ensuring both hands are away from the reaction arm. Designed to protect the operators hand whilst in use and eliminate the risk of potentially “bumping” the trigger and accidentally operating the tool whilst aligning the tool on the job. 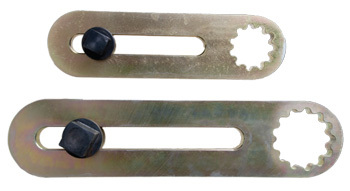 The new range of custom trigger guards “CTG’S” are available as a retro fit kit that can be fitted by the end user or alternatively ask your Torque Warehouse representative about having one fitted when your tool is next in for service and calibration. Please contact us anytime, we look forward to being of assistance and advice.